The ECO OVAL industrial geared flow meter offer high accuracy with explosion proof, including ATEX, rating for measuring flow of water, oil and chemicals. It has a versatile local register that does not require an external power source. 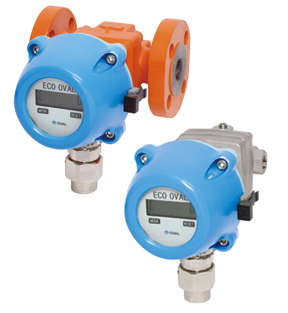 The ECO OVAL Geared Flow Meter offer high accuracy with explosion proof, including ATEX, rating for measuring flow of water, oil and chemicals. It has a versatile local register that does not require an external power source.